At Edward Ashdale, we know that your home is also an important investment. As Bromley house prices fluctuate in this uncertain economy, we’re here to help you negotiate the best deal for your home. Current asking prices in Bromley average £514,533, which places this corner of South East London, surprisingly, just below the £531,000 average home cost for London in 2016. Overall housing prices for 2016 rose by 7% and while some analysts cite this as a decline in the market, housing prices are, in fact, still rising. One Bedroom House -- £269,995. Two Bedroom House -- £399,966. Three Bedroom House -- £497,489. Four Bedroom House -- £700,684. Five Bedroom House -- £1,052,812. One Bedroom Flat -- £254, 534. Two Bedroom Flat -- £367,527. Three Bedroom Flat -- £549,900. Savills has indicated a nation-wide housing values pause for 2017. Predicting a 0% increase this year with a possible 2% increase in 2018. While this is not, perhaps, what sellers would prefer to hear, it does give room for new buyers to enter the market. Looking at long term trends, and houses in Bromley tend to be family homes, a longer-term investment, a home purchased now will continue to appreciate in value. While much is being made of the effects of Brexit on the housing market, statistics show that UK housing sector growth was already slowing as a result of other economic factors. In London particularly, average wage rates have not kept pace with housing increases. London property values went up by 86% since 2009. This means that, where traditionally home buyers might have expected to purchase at 4 times their income, the cost of a house is now 6.5-14 times their income. Housing prices overall, for now, continue to climb but investors and individuals feel a new uncertainty over the security of property values. Along with concern over Brexit and the softening pound, news of the election of US President Donald Trump, upcoming national polls in France and Germany, and the Italian referendum are serving to make buyers skittish. However, the series of taxes and new regulatory changes we saw in 2016 are more likely the root of the slow-down in London’s housing market. 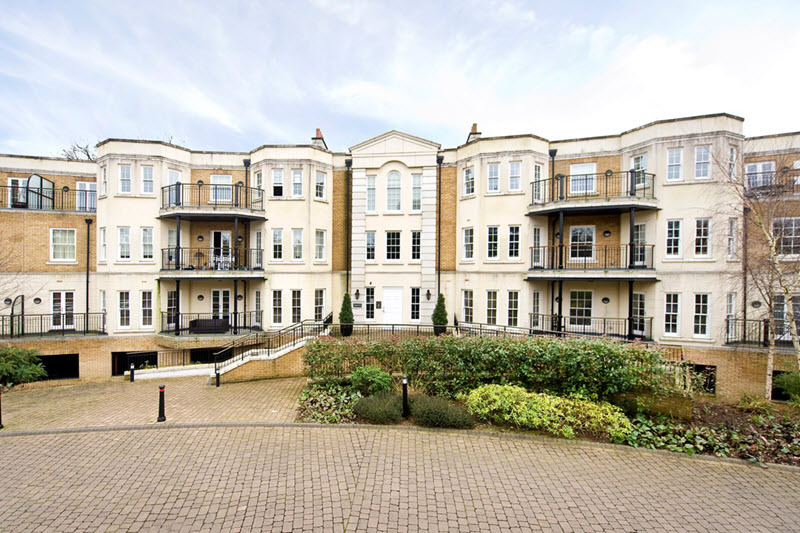 In Bromley house prices continue to be strong, however with sales numbers from the last 12 months showing a no less than 6% increase in values. The family friendly suburban borough remains a popular commuter zone for buyers looking to remain close to the financial and professional services and new businesses of London's city-centre. Official projections predict the capital’s population growth to be 1.1m by 2024, keeping demand for quality housing in desirable areas from falling off. Even so, property owners looking to sell may need to adjust their expectations in light of the current economic concerns. Something for both buyers and sellers to keep in mind when considering home ownership at this time: slower-growing investments are still a good investment. Home ownership builds equity and while mortgage rates might rise, a little extra interest is still less than you would have spent on rent over the same number of years. The relative scarcity of homes for sale as well as the desirability of the Bromley location caused house prices in Bromley to rise rapidly in the past few years. If market prices do begin to decline, the result will be a buyer's market. For a seller, having a property sit on the market for an extended period of time is undesirable. Savvy sellers can take steps to give themselves an advantage over other listings, and sell their house faster. Naturally, houses that are clean and clutter-free show better. The smart buyer is looking for a well-maintained home and the windows are a way to gauge that. Damp double-glazing and peeling sashes should be repaired or replaced. Seller’s shouldn’t try to stage the home to sell, per se, but stage it to live in. Think of how you’d want the house to look if your mother-in-law was the potential buyer, and put your best foot forward. Structural repairs (roof, foundation, drains). If there are home improvements that have been put off they become negotiating points. Knowing what the cost of a new roof would be, for example, allows the seller to either lower their asking price or make the repair while they wait for a buyer willing to pay the higher price. Whether you’re selling or buying, the team here at Edward Ashdale, at here to help you through the process.